Enjoy a guided dining experience at four different restaurants by bike or bus. Progressive Dinner Tours are a perfect way to have a great night out, meet some great people, and sample several restaurants at once. Choose a night, then choose a tour. What to do in a town with remarkable dining and remarkable Olympic athletes? Combine them into one of the most unique dining experiences to be found anywhere of course! 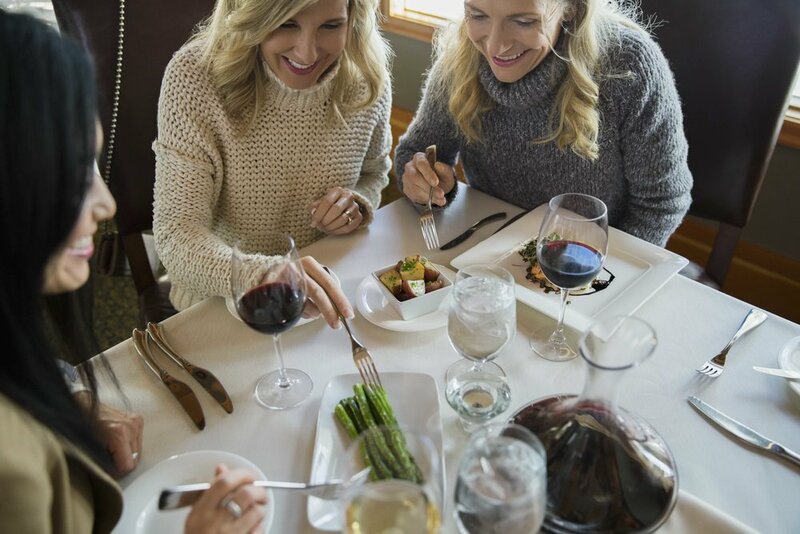 Join a group of new friends as one of Canmore’s Olympic athletes leads you on a 20km ride to four different restaurants, enjoying a house specialty dish at each one. 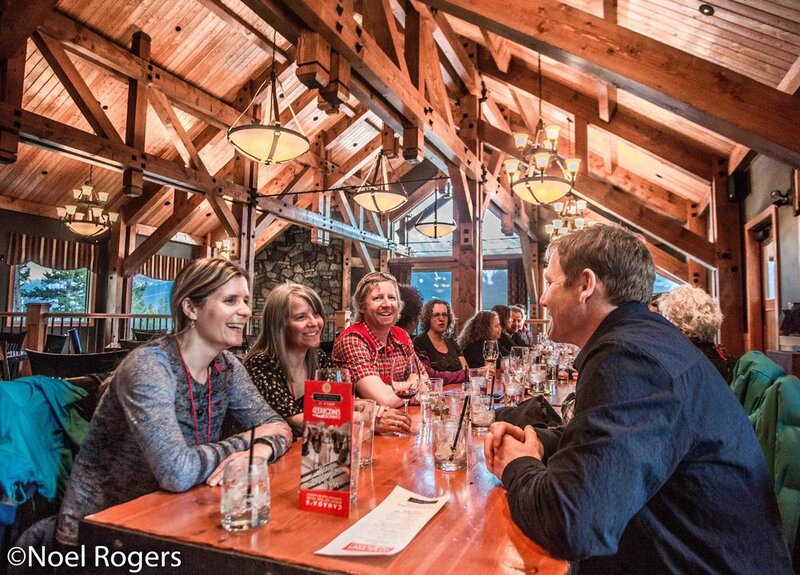 Cyclists of all abilities have constantly rated this as one of the favourite events at Canmore Uncorked, with lasting friendships being made along the way. Uncorked Progressive Dinners are truly events not to be missed! Can’t decide which restaurant to visit? Why not enjoy five of Canmore’s finest dining experiences in one evening! A progressive dinner tour allows you to visit four restaurants on the same evening, enjoying a house specialty dish at each one. Travelling with a small group of like-minded diners, you will travel by bus between restaurants, meeting your chefs and making new friends with the group along the way. Uncorked Progressive Dinners are truly events not to be missed!